I don’t think I’ve ever pushed recruiting on my blog before, but I can’t resist now . 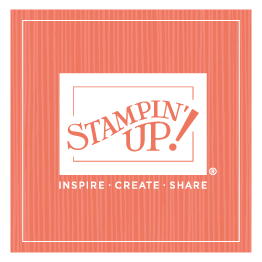 . . if you’ve ever thought about joining our Stampin’ Up! family, now is the time! We’ve got a special Starter Kit, priced at only $99, but what is most exciting for me is the bonus Christmas Keepsake Box that every recruit (and recruiter) receive. 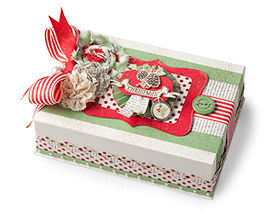 This gorgeous, hand-stamped box is what stamping is all about (if I do say so myself). I don’t want to gush too much because Sara and I worked very closely with one of our designers in the creation of this project, but I really do think it’s incredible. We chose the fabric, the stamp set, and color palette—everything! We even had the box designed exclusively for us! We wanted to make this very special. And I think we’ve done it! This is one of those things that anyone would be proud to make, and before you start thinking it’s too complicated and that you’re not good enough to do it, let me reassure you. It’s not difficult to make! It comes with step-by-step instructions, every piece is cut out for you, and the idea behind this is you’ll be creating it with you and your new upline (or downline). So you can enjoy the wonderful hobby of stamping together! That’s one of my favorite parts of all this—the idea of sharing stamping with others, having fun, and creating something beautiful together. I personally can’t wait to make my own keepsake box! We envisioned this being used in all sorts of different ways. It would make an amazing Christmas present, a handmade gift that anyone would LOVE to receive. Or you could keep it for yourself to hold knick knacks or Christmas cards, as the centerpiece for a holiday vignette, to sit on your desk or crafting area. . . it will look great anywhere, and it’s the perfect size for so many different things. And, of course, we hope that every year it is carefully packed away and then brought out the next year, and through the years, it will become a treasured part of holiday decorating. There you have my one and only recruiting blog! So you know this box must be something special! You can find out more by clicking here. Happy stamping!